Hello friends, aap hamare paytm promo code ko achase use kar rahe hoge. Ise beech paytm ne paytm mall daily products par free 100% cashback de rahe hain. 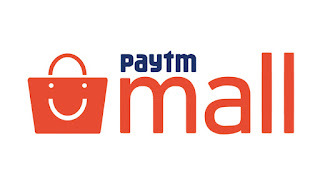 Paytm mall daily products par 100% cashback. Paytm offer mein aapko daily products par 100 rupaye thak 100% cashback mile ga. Aapko ham kuch list bhe dega. Yeh paytm ke eek our peshakesh hai. Jisamen aapko apane prepaid or positpaid recharge par cashback milega. Aapko PATYMALL50 ka use kar ke Rs. 50 cashback meilega to aaye ham affer ke use kare Rs. 100 ke recharge karne ke liye phale se offer chale rahe hai. Paytm appdownload kare. 2) Register kare new account ke liye. 3) App download ke 48 hours thak instalied rakhen. 4)Ab 100 rupaye ya usase adhike ka prepaid /postpaid mobile recharge start kare. 6)Amount ko pura kare our transaction ko bhe. 7) Transaction ke 24 hours ke baad aapko 50 rupaye ka cashback milega. 1)Sabse phale kise bhe product ko select kar le. 2) Offer page par jaye. 3) Add product to cart. 4) Login or singup kare paytm account par. 5) Apke shopping ke bare mein apane address our information add kare.